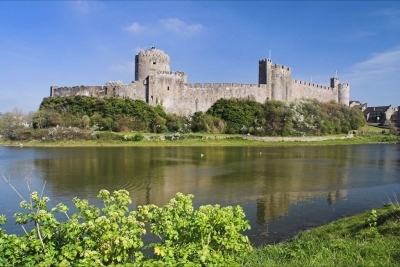 Pembroke Castle is 13 miles by car but worth the journey. As the birthplace of Henry Tudor father of Henry the VIII it has much history and is one of the most picturesque castles in the UK. Originally medieval it has been built upon by successive owners and is surrounded by a moat and high battlements. The castle also boasts a cafe and gift shop. Most areas are accessible by wheel chair. Only one mile from Ridgeway Llawhaden Castle is actually a fortified bishops palace. The impressive ruins make a great spot to visit in good weather. Free entry. For shopping, nearby Narbeth town centre has a delightful high street full of local independent shops as well as cafes. Alternatively for bigger trips the market town of Haverfordwest is less than 20 minutes by car along the A40. A great place to visit is the popular local Black Sheep Restaurant in Haverfordwest, which specialises in hearty seasonal food sourced from local farmers and producers.